Alternative Medicine and Wellness Techniques: 14 Paths to Integral Health (Scholarly Articles, Vol. 3) - the 2017 revised, updated, and reformatted edition - is a scholarly article that outlines 14 alternative pathways or practices for achieving holistic health. When the author speaks about "holistic" health, he conveys that these practices and techniques do not only cure the symptoms of a disease, but also gradually but definitely remove the underlying cause of the illness. 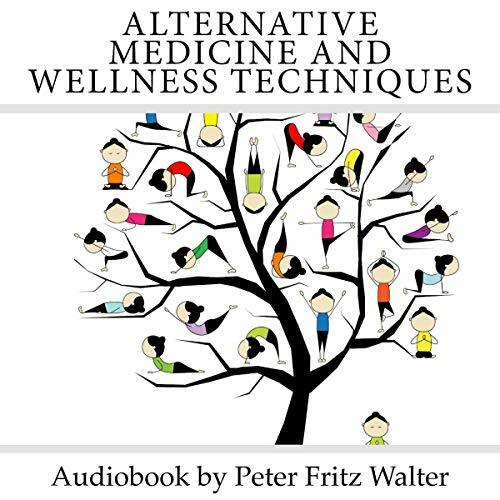 The 14 pathways outlined in the audiobook are Ayurveda, Chinese medicine, homeopathy, Kirlian photography, Kyodo, naturopathy, osteopathy, Qigong, radionics, Reiki, sophrology, Tai Chi chuan, Tibetan medicine, and yoga. Before he discusses the various pathways to holistic health, the author relates to the listener why he created this audiobook, namely as a result of large-scale medical abuse and malpractice suffered by himself, his mother, and his wife, over several years. He then also outlines how he found a way out of "business medicine" into "real medicine" by relocating to Southeast Asia in 1996, where he has lived ever since. As Chinese medicine, next to Ayurveda, is not only the oldest of these medical, sportive, or meditative practices, the author has put a particular focus upon it, explaining the basic tenets and principles, such as the duality of yin and yang, the two complementary energies of every organism, and the theory of the five elements. This is the third volume in a series of Scholarly Articles the author intends to publish in the near future. This book is not science of any kind and just the ravings of someone who has no understanding of medicine or science. The entire book is an antidotal with no real evidence.